Smilart continues to work closely with its partners to bring solutions that work for customers around the globe. Thanks to our good friends at Basler AG, our software, in combination with their best-in-class ace GigE cameras, together bring practical results that impress and provide security to those who need it the most. Bosch access control systems now work with Smilart. 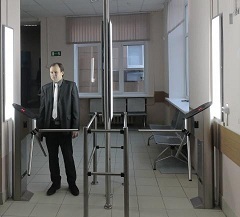 See our video about the Smilart facial recognitnionsystem at Sheremetyevo Airport's customs offices from the m24.ru news story.